So you have some new friends around. 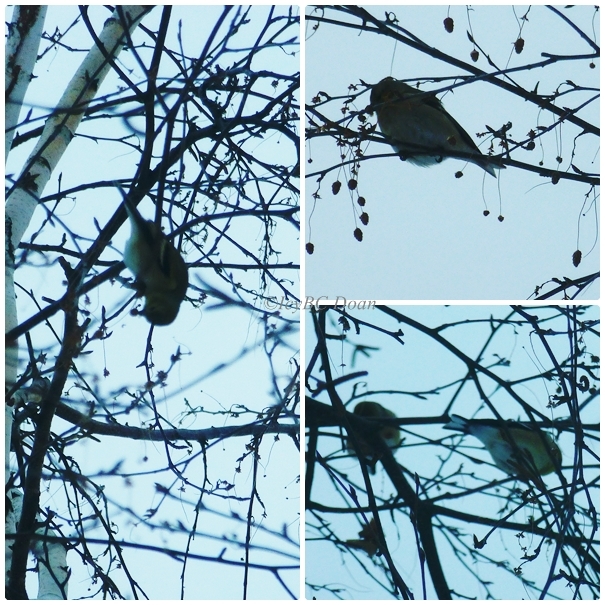 A nice gathering of birds, they must like the berries..I can see the brownish sides but it is hard with the lighting to see exactly id these birds. Could be bluebirds? Thank you for linking up to my Saturday's Critters. Have a happy weekend! nothing like hearing the birds ... i often hear the birds gather before I see them. Happy Critter Day. Hope they can survive together.